The Aland Islands are a group of islands midway in the Baltic Sea between Finland and Sweden. The Islands are an autonomous Swedish-speaking province of Finland and comprise some 6,500 islands and islets. Fishing is on the open sea or in bays in the archipelago. Fly-fishing, trolling or spinning can be used. 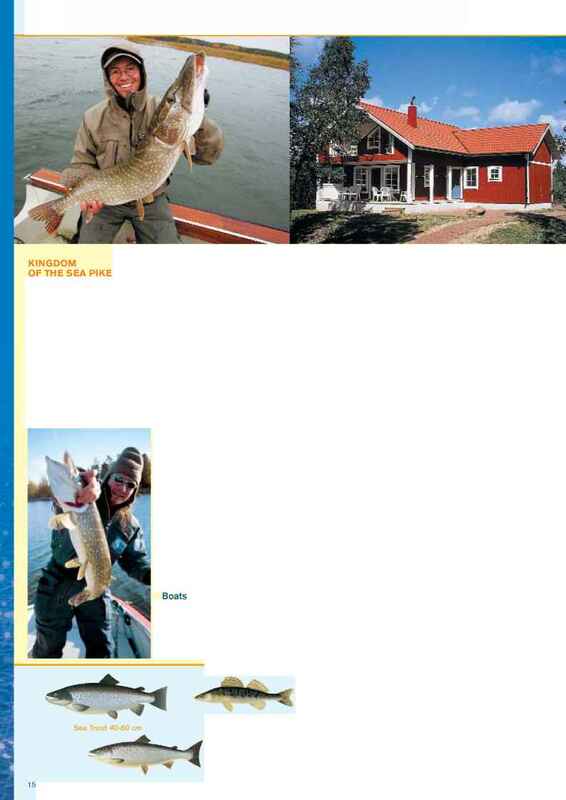 The Aland Islands offer numerous opportunities to fish virtually throughout the year. Each season has its own appeal. 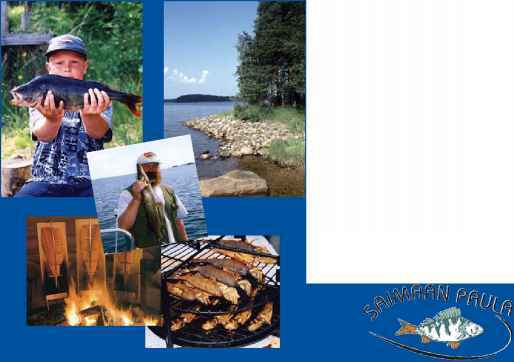 Sports fishing enthusiasts from around the world have been coming to the rich fishing waters of Aland for decades. Fishing is from boats skippered by our skilled fishing guides, who ensure the customer gets the most out of fishing. Our guides know where the fish are hiding and help customers find the "hottest" lure. Casting rods, trolling tackle and other accessories are included in the package as are life jackets/ suits and any rainwear. Fishing trip with a skilled fishing guide. Departure from outside the hotel. The package includes: Boat, fuel, guide, fishing permit, loan of flotation suit, fishing tackle, lunch, coffee, whole day trip lasting 8 hours max. From €380 per person in a twin room, in accordance with the above package (for a small extra charge we will take care of the ferry crossings from Helsinki, Turku or Stockholm). Extra nights: from €250 incl. whole day fishing trip as above, lunch, coffees and 2-course dinner and overnight stay in twin room. Norro is for people unwilling to comprise on quality. Norro is an unbeatable combination of archipelago landscape with red granite rocks, high standard holiday homes, diverse waters teaming with fish and, not least, personal service. In other words, Norro is the perfect fishing destination. Everything in one place, throughout the year. This is the place to make fishing dreams come true. Norro is for people for whom only the best is good enough. The best fishing waters are in the inner archipelago, in an area of some 10 km2. Water depth varies between 3-15 metres. 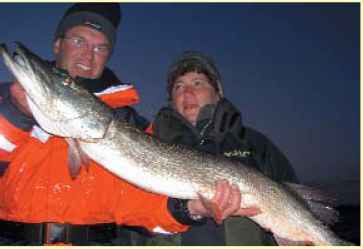 Catches include large sea pike (the local 2004 record was 116 cm), pike-perch and perch. Fishing is mainly spinning and fly-fishing from a boat or the shore. 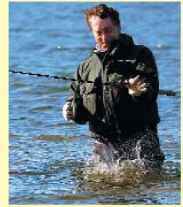 The area also offers some quality winter fishing. Spinning fishing: Rods 2,40m -2,70m, lure weight 10-40 gr. Line 0.15 mm. Most popular lures: Abu Tormentor, Bomber, Kuusamo Professor, Zam, Salmo Slider. 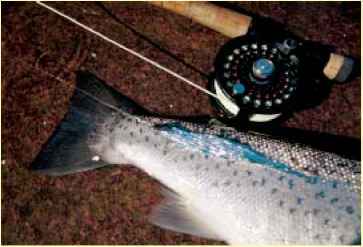 Flyfishing: Salt water rods, class 8-9, length 9', floating, intermediate and sinking lines. Large streamers for pike. Good Buster XS boats fitted with a 4-stroke Yamaha 15 hp engine. Or fishing with a guide aboard a Cris Craft 213 with a Yamaha 200 hp engine. 5-star cottages right on the sea shore. Three bedrooms, sauna and dishwasher. Extra services by arrangement: transfers, catering in cottages, sightseeing. Also other cottages, hotels and ferry tickets. Fishing package for 6 persons (Except 1 Jan-31 Mar): incl. cottage, fishing guide's instructions, 2 boats and engines, fishing licences, bed linen and final cleaning.